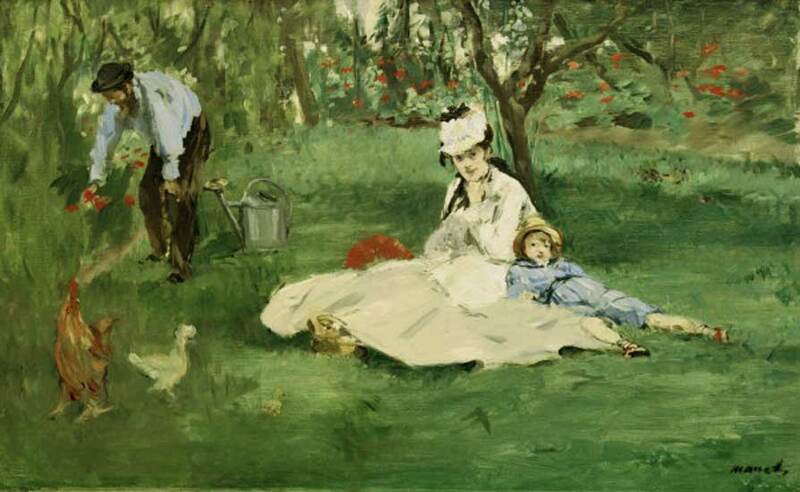 Monet and Manet were good friends, as apparent by Edouard Manet’s painting of Claude Monet and his family in their garden at Argenteuil. 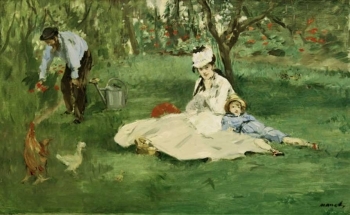 The woman in white is Camille, who often posed for Monet and his fellow painters, especially Manet and Renoir. The relaxed boy leaning against her is Jean, their eldest son. A second one, Michel, was born shortly before Camille died. Both sons married, but neither of them had children. Monet had no grand-children. However, he lived surrounded by young people because his second wife Alice brought six children in the wedding. And she had many decendents, today about one hundred!